It is not pleasant inside the core of Jupiter—or any other planet for that matter. However, gaining a better understanding of what's going on in there is key for understanding how these planets form. That's why a team of scientists at Lawrence Livermore National Laboratory recently used diamonds and lasers to recreate those very conditions. Put simply, the researchers blasted pieces of diamond with 176 different lasers, including the world's largest laser, to compress it as much as possible. They actually managed to squeeze some samples to 50 million times Earth's atmospheric pressure. 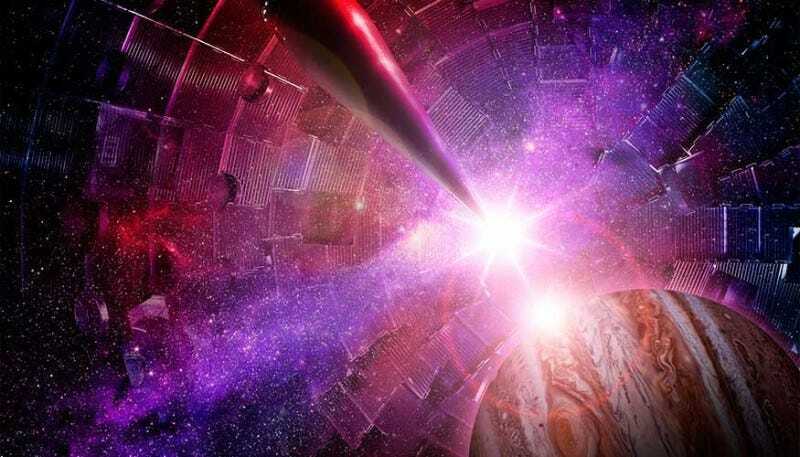 Of course, the diamond samples were vaporized in less than 10 billionths of a second, but you'd expect as much, when you're dealing with the world's largest laser.